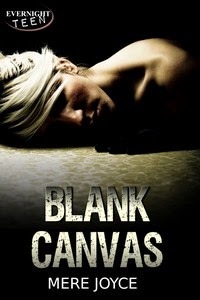 Blank Canvas has a cover! Woke up to an exciting message in my inbox this morning…Blank Canvas now has a cover! Since the cover is now out, I thought I’d share a little about the book itself. Coming soon from Evernight Teen! Sounds like an emotionally-charged story. Congrats on being able to put an official face to it! Sounds like a very compelling story. Can't wait to read it 🙂 And congrats on the cover!